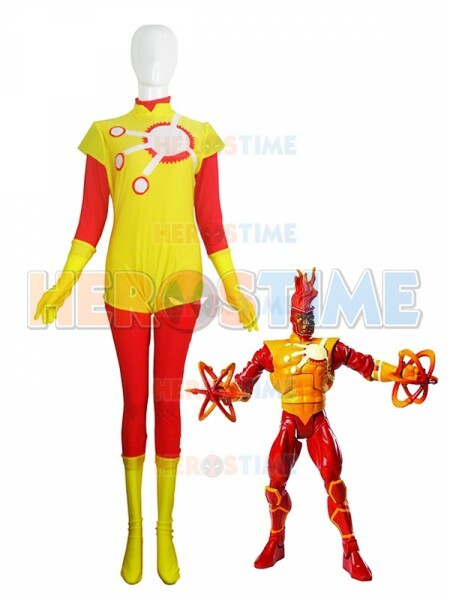 Firestorm is the name of several DC Comics superheros. 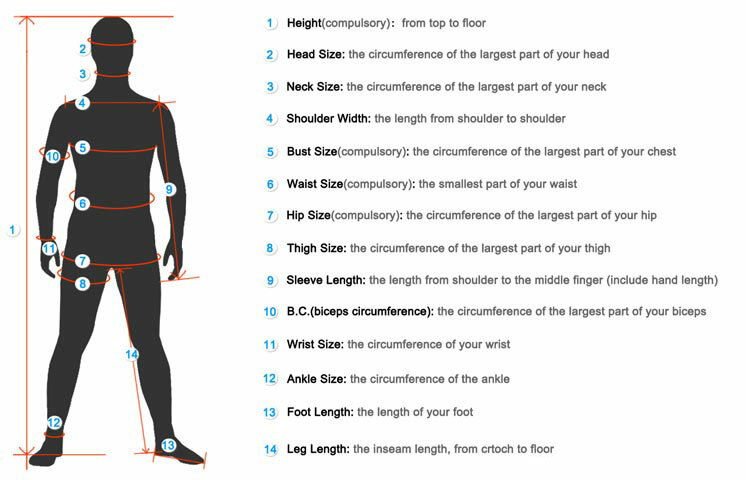 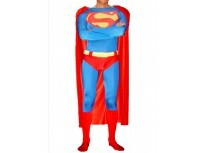 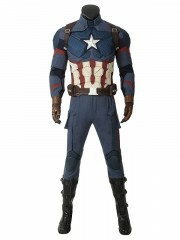 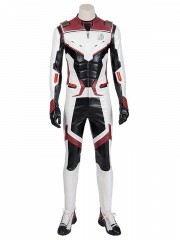 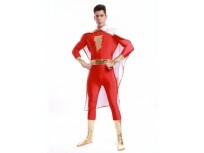 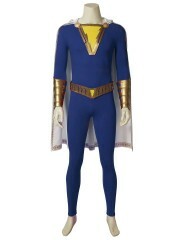 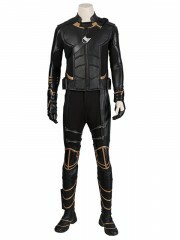 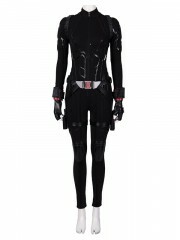 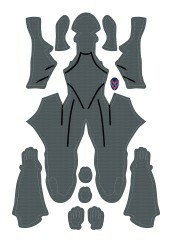 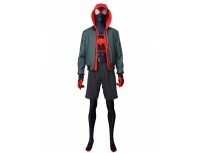 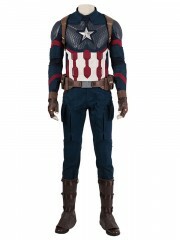 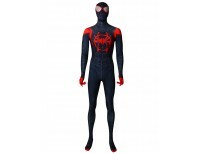 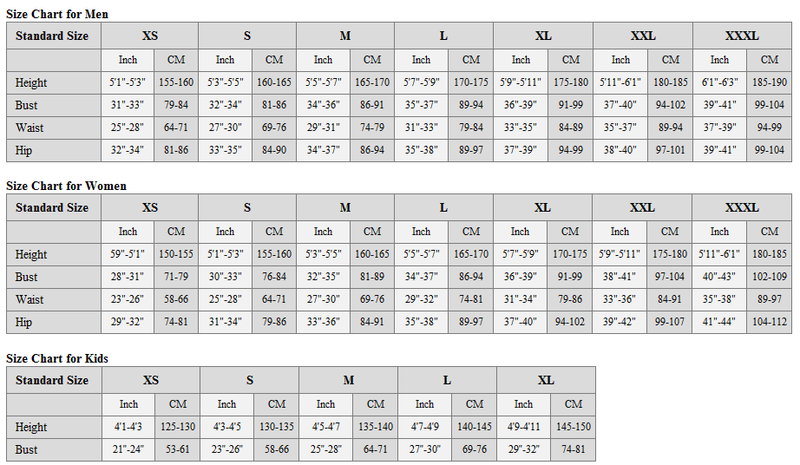 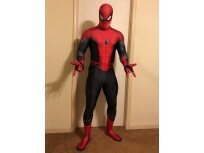 This suit is made of all spandex, which is elastic, breathable and available for hand-washing. 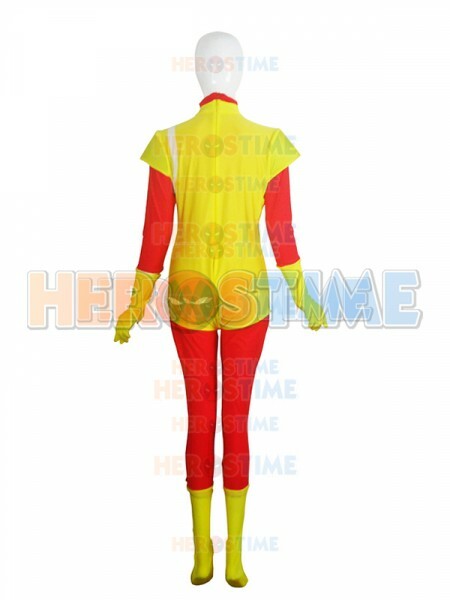 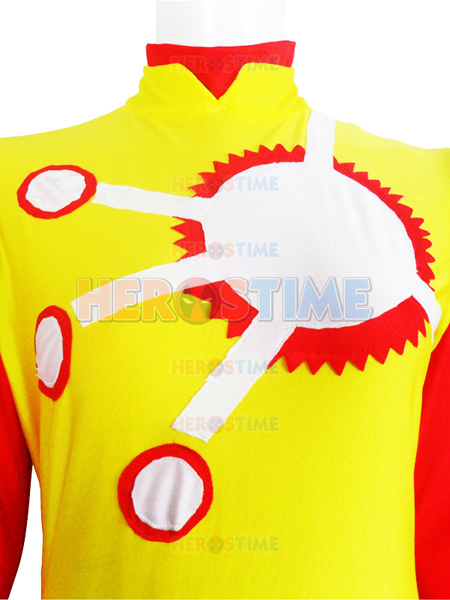 It is a two-piece design, red suit with yellow gloves and feet inside and a yellow vest overside.